With profound regret, and with the greatest respect and love, we are saddened to announce that James D. Baker, Q.C has passed away. Jim’s legacy will never be forgotten. Jim Baker was born in Vancouver, graduating from the University of British Columbia in 1962 with a Bachelor of Commerce Degree and a Bachelor of Law Degree. Following graduation, he articled with Lawrence and Shaw in Vancouver. After a few years of working with a small firm, which was the predecessor to the present firm of McCarthy Tetrault, and the Office of the City Prosecutor in Vancouver, B.C. he moved to Chilliwack joining our predecessor firm of Wilson Hinds and Davies in 1965. Shortly thereafter he became a partner, and in 1983 was appointed a Queen’s Counsel. 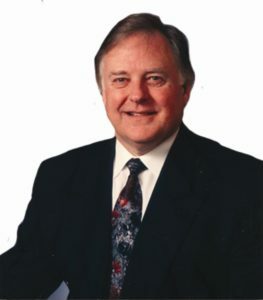 Jim continued to practice with Baker Newby LLP until he retired in 2016. Mr. Baker had always been active in the Bar, having served as President of the Chilliwack and District Bar Association, President of the Fraser Valley Bar Association, a member of the Executive Council of the Canadian Bar Association (B.C. Branch) and a member of the American and British Columbia Trial Lawyers Associations. In addition, he lectured, served on panels and provided materials to the Law Society’s Continuing Legal Education program. He regularly appeared in the Supreme Court of British Columbia and the British Columbia Court of Appeal and had appeared as counsel in most of the Superior Courts throughout the Province of British Columbia.